The average family spends over $5,000 a year on perishable food. Whether it comes from the grocery store or the hunting lodge, food brought home often isn’t all eaten right away, making it important to store it in a way that saves maximum flavor and nutritional value. 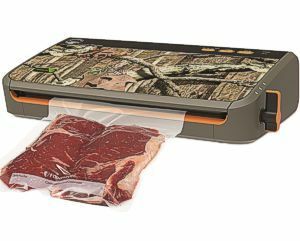 Home-use vacuum sealers are perfect for keeping meats, game, fish, and vegetables fresh far past their traditional shelf life. 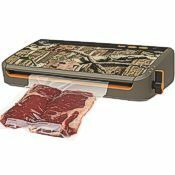 Whether you’re a home gourmet cook, gardener, or sportsman, purchasing a quality food sealer is a smart investment! At Pleasant Hill Grain, we carry a great selection of home vacuum sealers that would be the perfect addition to your kitchen. Browse our products online or keep reading to learn more about purchasing a vacuum sealer and transforming the way you store your food. Did you know that oxygen exposure is the number one cause of food quality loss? Oxygen quickly robs your food of essential qualities from flavor and color to texture and healthful nutrients. 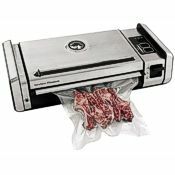 Whether you’re sealing meat for later in the week or storing fish to enjoy next winter, a home vacuum sealer lets you retain your food’s full flavor and nutritional value much longer. Prevent oxygen from degrading your perishable food and you’ll greatly extend its freshness, flavor, and shelf life. 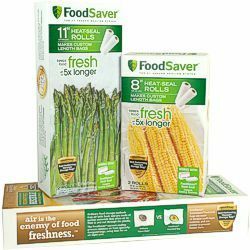 You’ll enjoy tastier meals with your family as well as cost savings from not having to toss food that’s past its prime. 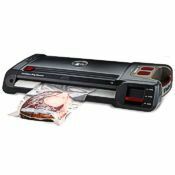 Owning a vacuum sealer makes it possible to buy more food when a great sale opportunity presents itself, because you can keep it longer without sacrificing quality. Jar sealers – they allow vacuum sealing on any size mason jar and are ideal for liquid and fragile food (including jams, dried fruit, flour, brown sugar, and more). Bottle stoppers – a perfect solution for sealing wine, oil, juice, and vinegar bottles, this system removes oxygen from the bottles to preserve freshness and taste. Pistol vacuum sealers – these small handheld, battery-operated vacuum sealers are highly portable and easy to use with special valve-type bags. 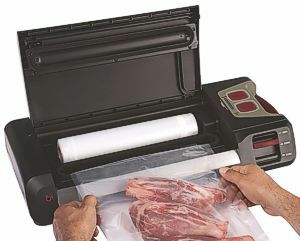 Sous vide bag sealer – for sous vide water ovens, food is usually first sealed in a vacuum bag. Some sealers are made with the particular needs of sous vide cooks in mind. Before purchasing a food sealer for your home, consider a few factors that may guide your decision. 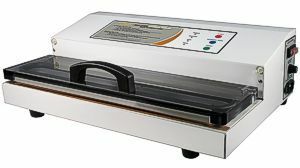 Ability to continuously use without overheating – while commercial-grade vacuum sealers have 100% duty cycles for continuous operation, some consumer-grade models require 20-30 minute intervals of downtime to cool when sealing a higher volume. For lower-volume users this won’t be an issue, but if you have a large garden or hunt big game animals, you’ll want a sealer that can run nonstop. Portability and storability – before your purchase, consider how big the vacuum sealer will be and where you will store it between uses. Some units can be stored horizontally or vertically to save space and most feature built-in cord wraps and accessory compartments. Controls – advances in food sealing technology have led to simple one-touch operation, but check if your sealer provides a manual mode for custom control over your food packaging. Some even allow you to “seal only” and not remove the oxygen from your bags. 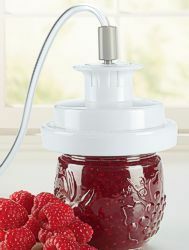 Attachments – the jar and bottle sealers as discussed above are some of the attachments available with some models, including Tilia vacuum sealers. 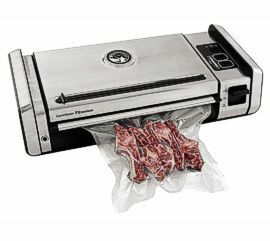 Consumer-grade food sealers use embossed plastic bags (sometimes referred to as having channel plastic or ridged plastic). Since these models are clamping-type machines, the lids come down on the opening of the bag (and vacuum bags are sometimes referred to as “pouches”). The air is sucked out of the bag through the small channels, or ridges, in the plastic before it is completely sealed. Bags are interchangeable among consumer clamping-type machines, meaning that any type of embossed plastic that works in one consumer machine will work in any other. Plastic is also available in rolls so you can cut any length you want and create a bag by sealing the bottom end before filling with food. The versatility of bag styles that can be used for home food sealing provides a range of size, function and price choices. Some owners even wash and reuse their bags, with the bags getting a little shorter with each successive use. If you plan to do an extensive amount of vacuum sealing, consider purchasing a commercial vacuum sealer rather than a consumer-use machine. In the long run, overall costs can be lower and you would own a high quality machine that works faster and lasts longer. 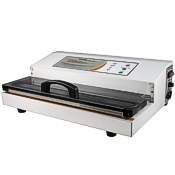 Commercial vacuum sealers are built for heavier all-day use and have 100% duty cycles for continuous operation. In contrast, many consumer grade models require a cooling down period. When comparing commercial vacuum sealers to home vacuum sealers, the initial cost for a commercial vacuum sealer will be higher, but beyond a certain level of usage, the savings from lower plastic cost more than make up the difference. Because plastic bags for commercial sealers (either chamber-type or commercial external-type with snorkel probe) don't require special features like embossing or surface ridges, they cost less than the bags used with consumer sealers. For the typical home user, using the ridged (aka "embossed") plastic with a low cost home-duty machine makes perfect sense because a much lower volume of plastic will be used during the life of the machine. But for medium or higher volume users (home or business), the lower cost of the smooth plastic used by commercial external or chamber vacuum sealers will save you a lot of money in the long run, and the break-even point might arrive sooner than you'd think. Drawings above represent the three basic types of vacuum sealing systems, shown from a side perspective. The heat sealing bar is shown in red. Dotted lines in the left and right-hand images represent the vacuum cavity within those machines. The yellow block represents the material to be vacuum sealed in bag. When you add to this the commercial vacuum's convenient operation, longer life span and higher production rate, it's apparent that the best vacuum sealer, even for home users, may be the one that costs a little more up front. The biggest brand of consumer sealers is Tilia. We carry their Tilia FoodSaver Big Game Plus, Tilia FoodSaver GameSaver Titanium, and Tilia GameSaver Wingman Plus, as well as many accessories and attachments. These machines each come with a starter kit of Tilia plastic bags and rolls. They can each seal one to two bags per minute. Click the links above to learn about the different specs on each machine. 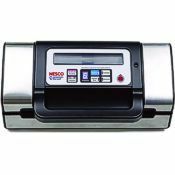 We also carry the Weston PRO 2300 Vacuum Sealer, a consumer-grade sealer with a fan-cooled motor that offers continuous duty, meaning no cool-down time between bags. It can seal extra-large bags up to 15” wide and its double-piston vacuum pump delivers 28” HG vacuum (a measure of vacuum strength). It seals one to two bags per minute and features an automatic mode, manual seal mode, seal-only mode and a sleek stainless steel exterior. Pleasant Hill Grain provides a superior online shopping experience for home, kitchen, and outdoor products, including our selection of home vacuum sealers and accessories. We offer free shipping on all vacuum sealers, and also phone support from our friendly, experienced customer service staff. Have questions? Please call us at the number below—we’d love to help you select a product that’s perfect for your needs! You can see all of our consumer vacuum sealers here (link opens in new window).